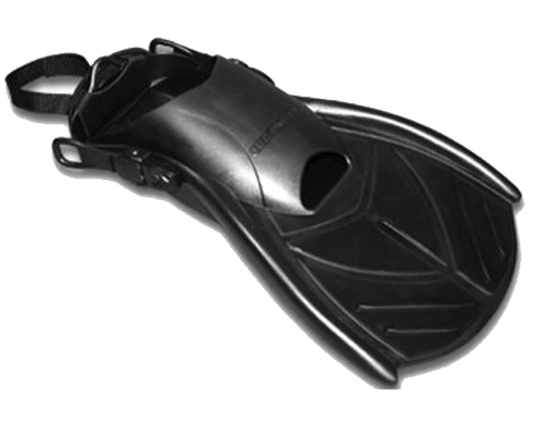 The US Diver’s Shredder SAR Fin is designed specifically for in water rescue, Search and Recovery (SAR) swimming. Members earn 120 Points on this purchase! The US Diver’s Shredder SAR Fin is designed specifically for in water rescue, Search and Recovery (SAR) swimming and helicopter operations. Get up to twice the speed with half the effort as normal fins. The Shredder SAR fin provides explosive thrust and exceptional maneuverability. The ultra-light technopolymer blade provides optimized power and ‘snap’ with up to 50% less weight and bulk. These fin won’t take up much space on the boat or in your gear bag. A patented blade technology reduces drag, increases lift and propulsion, as well as providing efficient water flow for improved thrust while greatly reducing ankle and leg fatigue. Gain increased speed while conserving energy for maximized endurance, greater sprint durations and longer body surfing sessions. Compact and powerful the Shredders are a multipurpose vacation fin. Due to their large foot pocket that can accommodate a thick boot, they are also a compact option for cooler local BC waters.